Today I want to write about a beautiful and unique species of antelope, the waterbuck. These large antelopes can grow up to 2.3 metres long. Only the males have horns, which can grow up to 1 metre long. As their name suggests, they have a close connection with water. Waterbuck always live near a body of water and use it to escape from a range of predators, which include lions, cheetahs, hyenas and African hunting dogs. They have an oily secretion that covers their coat and smells really bad. This helps them to find a mate and makes their coat waterproof. They live in herds of 6-30 animals, with one male who defends his territory. Female babies stay with the herd, but males leave at the age of about 8 months and live in a herd with other young males. Waterbuck are quite common and can be found in woodlands and savanna near water throughout Africa. 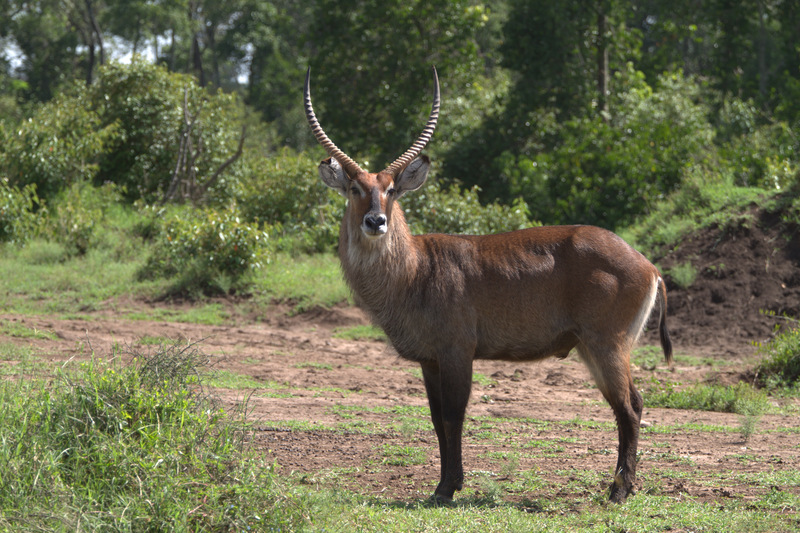 Are there any other interesting facts that you would like to share about waterbuck?